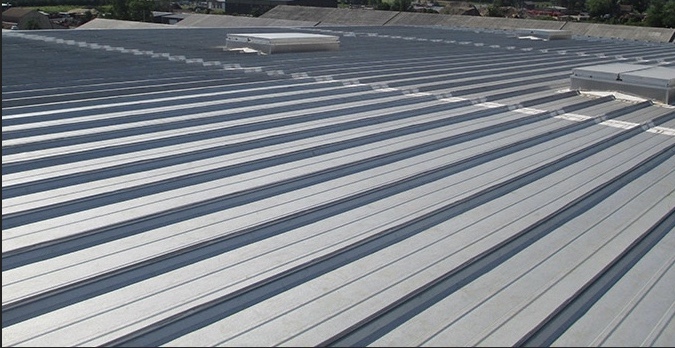 Metal roofing for commercial property is becoming more and more prevalent. There’s a lot of information to wade through before you, as the building owner or manager, makes your choice on the type thats right for your building. Installed properly, its a very dependable roofing system. You can achieve a lot of different architectural looks with the many options available. For a smooth, clean look and to conceal the fasteners, you would install panels with seams that snap and lock into place. These types of panels can have a thickness range of 24 to 18 gauge steel. There are also lot of color options to pick from with these galvanized, painted panels. Thin panels are available too, with gauges as thin as 29 gauge. You should be looking for the most durable and long lasting system that your budget can handle. Your commercial roofing contractor should be helping you make this choice. High wind conditions are something we need to deal with here in Texas, so you should think about installing a system that utilizes extra clips, at least 24 gauge thickness and a narrower panel to keep them from blowing off. You can better keep moisture from destroying your fasteners by using panels that have concealed fasteners with mechanical seams. You’ll need a roof with a pitch of 3 1/2 or less for this. If your roof is pitched between 1 1/2 and 2 1/2, to keep it watertight, you’ll need to include an inseam sealant. We can use equipment to right on site that will seam and crimp your panels. If you’re looking for the curb appeal of a metal roof, but your roof is pretty much flat with a slope of under 1/12, there are many options to choose from. Lots of different color options. You can choose from galvanized for lower pricing or stainless steel for a finer finish and look. Choose from panel ribs with varied width from 12″ to 17″. Warranties that guaranty against fading. Since they have longer lifecycles and are more durable, It takes a little more of an investment upfront for installation than asphalt shingles. Our replacement process has been perfected over time and we use the highest quality metal panels available . Our replacement system will deliver long lasting, great looking results with the least amount of interruption to your business as possible. Why Is Our Process the Best? Our mechanical seam or snap lock panels are the best available. Depending on what type of roof you have, we can install panels that go from the ridge to the roof’s edge, full length of the roof. Though we have the best system, we’re still competitive on price. To make sure our panels are installed clean and scratch free, with the highest quality, we keep right on top of every project. No one has more expertise in the installation of metal roofing than we do. Our system is in high demand and we have a lot of other contractors that are eager to learn it. For Texas, there’s no better value or choice for your roof for material quality or installation process. Whether it’s installing a new roof, or replacing an old one, we’re the best choice when you’re looking for the best advice in commercial metal roofing. You can go as long as 40 years or more before you’ll need to think about replacing your roof again. As mentioned before, it takes a little more of an investment upfront, and you still have to put a routine maintenance plan in place. You can invest as much as $13 a square foot to as little as $4 a square foot. The final estimate for the replacement of your roof will ultimately depend on the business climate in your particular community. $4 to $6 a square foot will get you corrugated steel panels. $7 to $9 a square foot will get metal shingles. $8 to $9 a square foot will get you metal roofing tiles that are stone-coated. Finally, $7 to $13 a square foot is what standing seam metal roofing costs. This isn’t just raw material cost, but the cost of fully installed systems. Depending on your situation and location, you will have some additional costs in addition to the materials – building permits, removing old materials, flashing installation, correcting ventilation, repairing the substrate if needed and removing debris from the project site. Of course, as we’ve mentioned before, how much you end up investing in your new metal roof will depend heavily on the type metal roofing system you choose. Of course, as we’ve mentioned before, how much you end up investing in your new metal roof will depend heavily on the type metal roofing system you choose. Here at Taurus Elite Commercial Roof Systems, 512-332-4422, we provide commercial roofing services to Austin, Texas and the surrounding cities, including commercial metal roof repair, commercial metal roof restoration and commercial metal roof replacement. 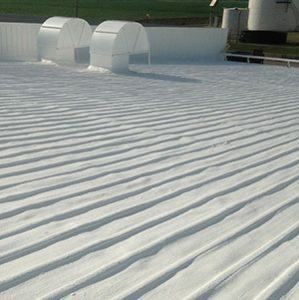 We have been providing professional commercial roofing services to the area for over 20 years.